Want to train harder, run longer, lift heavier and kick harder? Who doesn't? With Beta-Alanine you can finally achieve that workout intensity you've only wished you'd be able to accomplish. Backed by research, Beta-Alanine is the one essential supplement you need to get your hands on. As an anabolic fuel Beta-Alanine provides the stimulus to increase anaerobic and aerobic endurance and delays in muscular fatigue, allowing you to push through every workout by providing the fuel to accelerate maximal workout power. 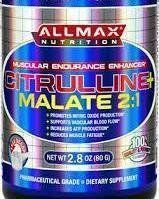 Beta-Alanine is a non-essential amino acid that has been shown in research to increase muscular Carnosine concentrations. Carnosine is contained in both slow and fast twitch muscles fibers and is responsible for buffering the pH levels in your body. 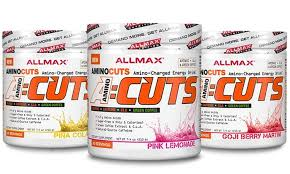 By promoting high intra-muscular Carnosine concentrations, Beta-Alanine acts as a precursor to Nitric Oxide (NO) production and works to reduce intra-muscular acidification created by intense exercise and heavy training. 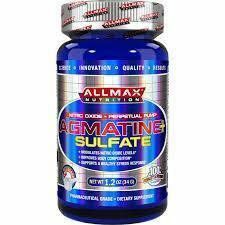 In simple terms this means that Beta-Alanine helps to buffer the pH levels in your muscles, preventing the acidity that occurs during exercise. A decrease in the pH balance or increase in muscular acidity leads to that muscle burn you'll experience which often prevents gains. 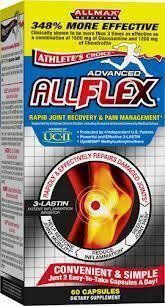 Beta-Alanine provides the stimulus to push through this. 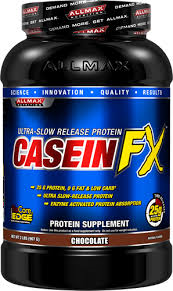 This non-essential amino acid increases the lactate threshold, which is the limiting factor in most training sessions. The build up of lactic acid often prevents you from reaching your strength goals, as your muscles begin to fatigue. With Beta-Alanine your training threshold is increased and your limitations can finally be broken down. Beta-Alanine can help increase your training capacity allowing you to train harder, stronger and longer than your last workout. Review your training log and you'll be amazed by the difference this simple addition to your training routine can make. Push through every rep and increase that weight! 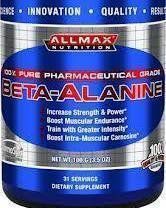 ALLMAX has acquired the purest pharmaceutical-grade Beta-Alanine source called Beta-SYNTH™. An 11-Stage process is used to produce this white crystalline substance. Beta-SYNTH™ then goes through a hyper-micronization process that gives you a fine, high-absorption form of Beta-Alanine that is exclusive to ALLMAX. Beta-SYNTH™ has been laboratory tested to absolute pharmaceutical-grade 100% purity; and you will feel the difference! Amino Acids. 2007 Feb; 32(2):225-33. Influence of Beta-Alanine supplementation on skeletal muscle carnosine concentrations and high intensity cycling capacity. International Journal of Sports Nutrition and Exercise Metabolism. 2006 Aug;16(4):430-46. Effect of creatine and Beta-Alanine supplementation on performance and endocrine responses in strength/power athletes.